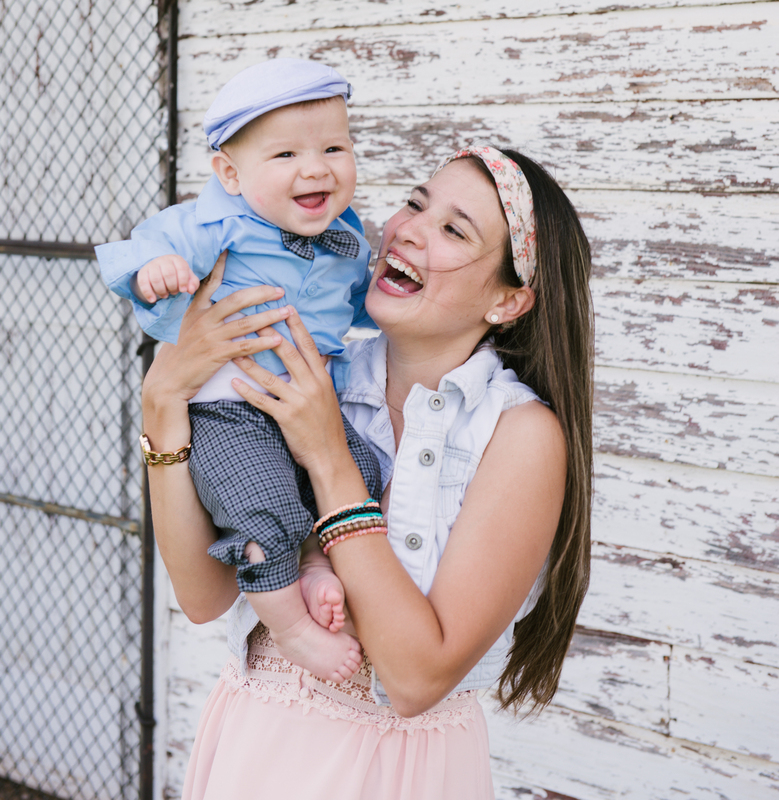 This month, we are featuring Claudia – a child psychologist, teacher and mom to her little Barrett. 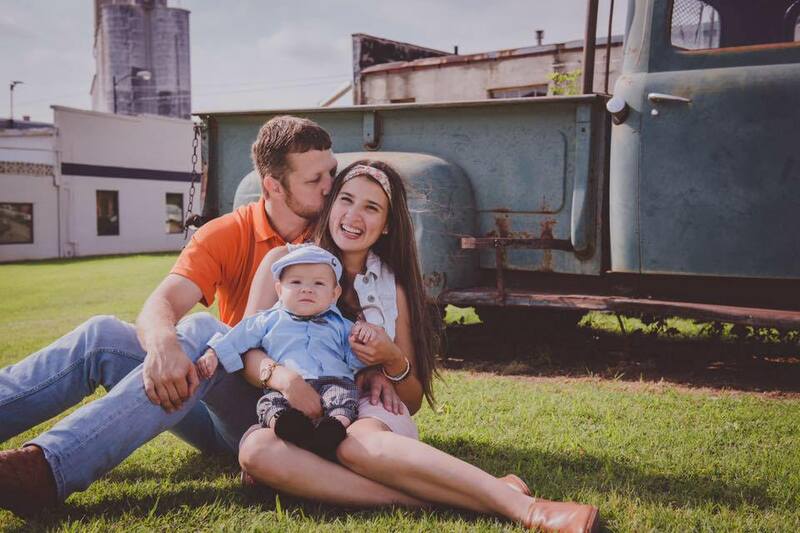 While Claudia is not teaching English to her students in China or not working on her blog "Life in a second language", Barrett keeps her extremely busy. 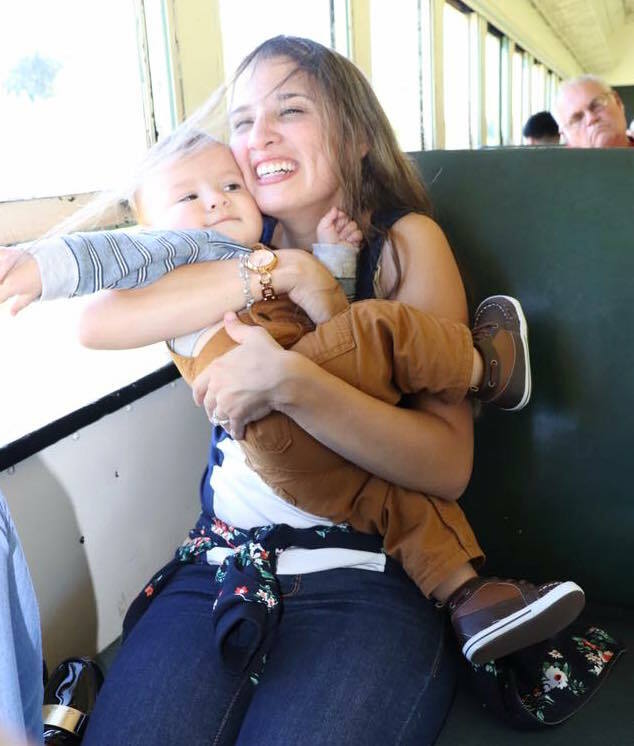 Read on to learn more about how Claudia juggles her work, mom life, getting dinner on the table and finding some time for herself. Occupation: Child psychologis, teacher and stay at home mom. Claudia: That’s a great question! First of all, I’d wake up possibly around 10 am and being just lazy in my bed. Then, I ‘d eat a warm lunch haha without a screaming baby; I’d probably finish my lunch in five minutes. After that, I’d love to spend the whole afternoon in a spa! That would be so awesome! Being a mom is hard work; we need to pamper ourselves right? However, during this whole day I’d probably be missing my boy. Claudia: Coffee and Target! You can never go wrong with these two. Also, I try to make every Friday (since my husband is at home) activities for myself such us going the salon, visit a friend, go to the mall or even just read my favorite book. Green Piñata: Tell us a little bit about Barrett. What are some of his likes, dislikes, and interests? Claudia: My little one is 15 months old. His name is Barrett and he is the busiest toddler on the block. Having him to sit still is an impossible mission. He is extremely active and curious. 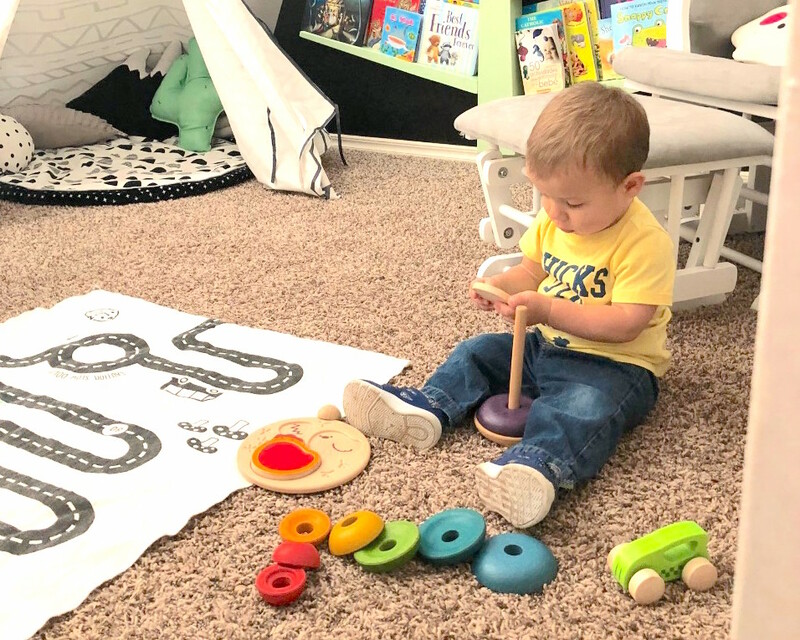 He loves music, touching buttons, and “fixing stuff” (he is really interested in knowing how every thing works “Engineer brain” I guess (just like his daddy). He loves animals and being outdoors too. He definitely doesn’t like being indoors. During rainy or snowy days, I have to work hard to think of what activities we could do keep him busy. Claudia: I work when Barrett is sleeping (5 -8:00 am). I teach English to kids in China. Barrett wakes up around 8:30 am, have breakfast, brush his teeth and get ready for the day. In the mornings, I typically run some errands or clean the house while he is playing. Then, we have some music, snack and reading time. After that, it’s time to eat lunch and he is ready for his nap. He usually takes around 2 to 3 hours nap. While he’s napping I try to get things done for my blog (“Life in a second language”). In the afternoons, we get out of the house (visit some friends, play dates, library, Gymboree, parks, water park, children museum etc). the days go so fast. Oh well, the majority of them! ha! . Before we know it, daddy is home! That means, this momma gets to rest! Just kidding. Don't forget the dinner and the bedtime routine. By 9 pm everything is quiet and dark in our home. Claudia: My favorite part about Green Piñata is that we don't accumulate unnecessary toys around the house. 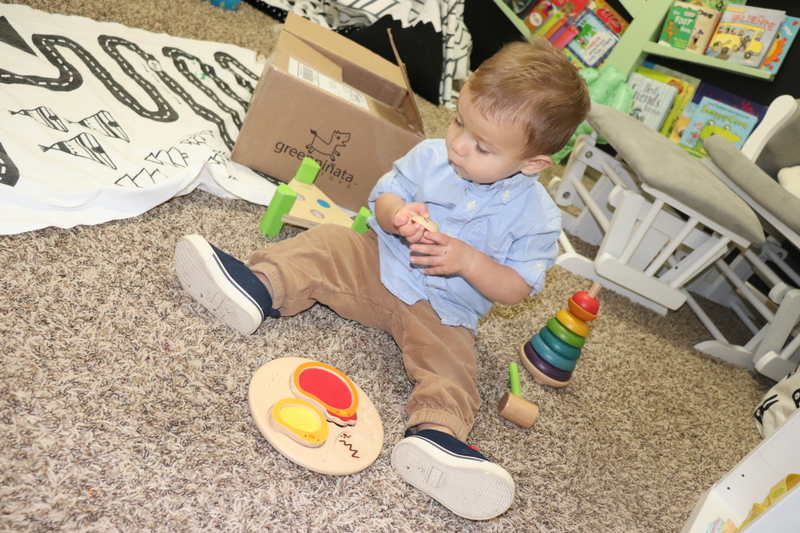 I like having educational toys that are green, environmentally friendly, simple, age appropriate and fun. Barrett’s favorite part is that gets to have news toys very often (every month). Our favorite part is unboxing together! It is so exciting to open the box and see his excitement! Claudia: Getting a new box every month, giving the option to see and find out if Barrett has a special interest in a particular toy. Also, I like to include the toys for the “theme weeks” I prepare for him weekly. Besides, it is a great opportunity to spend quality time together.